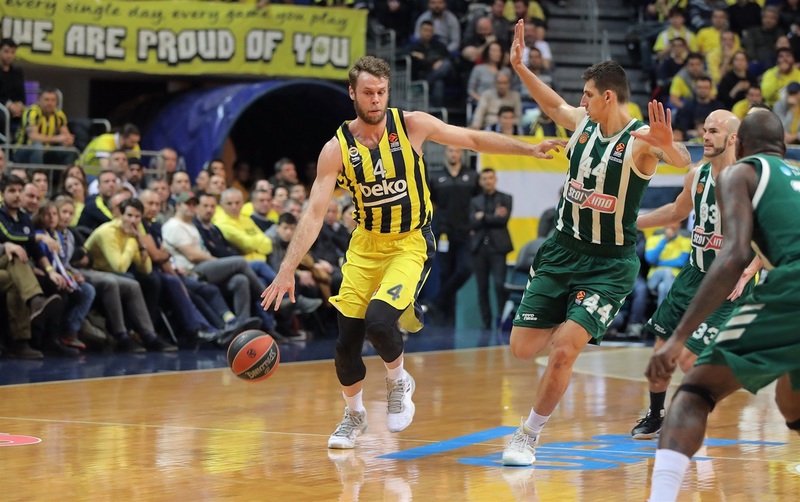 Fenerbahce Beko Istanbul became the first team to secure playoffs qualification with a comprehensive 85-66 home victory over Panathinaikos OPAP Athens on Friday night. The Turkish team raced away with the game in the second quarter and never looked back, ensuring a post-season berth in impressive fashion. Fenerbahçe Istanbul - Panathinaikos Atene 85-66. Boxscore: 14p+7r+4as Melli, 12p2r+1as Datome, 12 Guduric e Green per il Fenerbahçe; 19 Kilpatrick, 13 Thomas per il Panathinaikos.